Stealthy Wealth: When Is The Right Time To Invest In Cryptocurrencies? When Is The Right Time To Invest In Cryptocurrencies? The incredible buzz (with associated rise in price) and then subsequent return to some semblance of normality (and related price drop) of Bitcoin reminded me a lot of a graphic I came across a few years ago. The graphic was meant to illustrate how new tech generally goes through a cycle. The cycle starts with a massive amount of excitement from the over-exaggeration of the impact and usefulness of the innovative technology, followed by reduced interest as the true usefulness is questioned, and then eventually second and third generation products which use the new technology in a more widely accepted and useful way emerge. Using some vague keywords relating to what I remembered about the graphic, I managed to dig it up – turns out my memory was not too far off! The phenomenon is known as the Hype Cycle and it represents the adoption of a new technology as it transitions through 5 different phases. A potential technology breakthrough. Media interest, but often no usable products. Commercial viability is unproven. Early publicity produces a number of success stories—often accompanied by scores of failures. Interest wanes. Producers of the technology shake out or fail. More instances of the technology benefit start to crystallise. Second- and third-generation products appear. Mainstream adoption. Broad market applicability. Bitcoin has been, and still is, the cryptocurrency with the largest market cap, I therefore think it is reasonable to use Bitcoin as a proxy for cryptocurrencies in general (yes each of the other’s have their own unique attributes, quirks and strengths, but bear with me). Then, I think it is also a fair to consider that the price of Bitcoin is a good indication of the public perception of the potential and future usefulness of Bitcoin? Below is a chart of the price of Bitcoin from beginning 2017 until more or less the present day (shamelessly stolen from this website). Granted it did take a little panel beating, cropping and resizing, and maybe the time scale isn't quite right, but that’s not a bad fit? Draw your own conclusions on this, but, I would say, in terms of cryptocurrencies, we find ourselves somewhere between the Trough of Disillusionment, and Slope of Enlightenment? The use of blockchain and the distributed ledger as a means of authentication and trust for transactions, and then tying the creation of currency as a reward for facilitating the transaction, was a novel idea which could certainly be viewed as a technology breakthrough. Public interest in cryptocurrencies exploded and turned into a full blown frenzy towards the end of 2017. 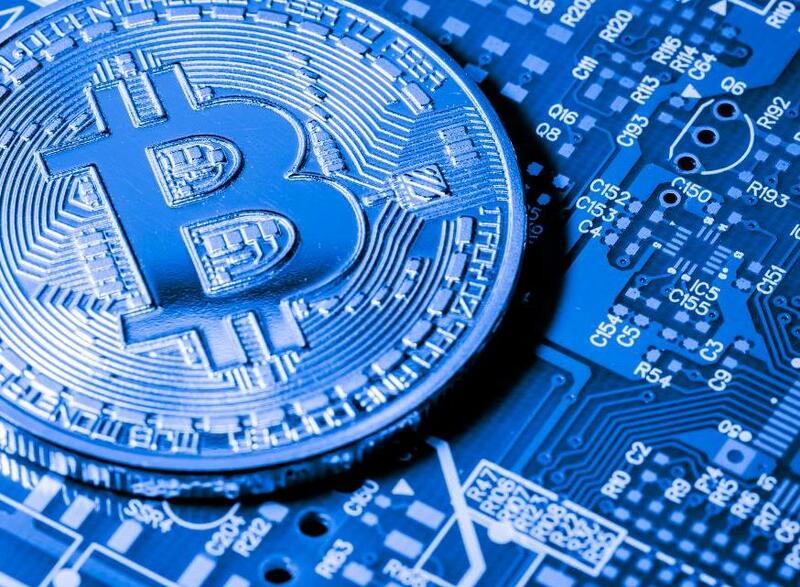 Investment websites started displaying Bitcoin prices and charts, stories of people becoming multi-gazillionaires overnight emerged, and billions of dollars were raised in initial coin offerings. At the same time, there was talk of regulations and we heard stories of coin exchanges getting hacked. More recently, some of the heavy weights started expressing doubts as to whether there would be a future for cryptocurrencies. The current price of Bitcoin certainly indicates that interest is not what it used to be. Could it be that people are starting to question the true usefulness and viability of cryptocurrencies in their current form? There have been some new applications of cryptocurrencies which have launched with applications ranging from contracts, to identity verification. Whether these can be classified as Second or Third generation products, I am not sure - but the technology has been evolving into new applications. There is a definite possibility that the technology will be deployed in novel, exciting and unexpected ways. Will we see mainstream adoption and commercially viable and successful cryptocurrency products? We certainly could - time will tell! So When To Invest In Cryptocurrencies (If Ever)? The short answer - no one knows! In truth, there may never be a time to invest and all this could go up in a cloud of smoke. But then again there could be incredible new products and services in the cryptocurrency industry. These could emerge tomorrow, next year or only in the next decade. What to do? If commercially viable and sustainable products, services or applications emerge in the cryptocurrency field, we will see more and more cryptocurrency businesses popping up. Some of these businesses will end up on stock exchanges around the world - we may even see a whole new Crypto market sector emerge. As these businesses grow, the bigger, more profitable ones will start being included in broad based indices. And now I think you can see where I am going with this…. It’s funny, as I have progressed along my investment journey, I have realise more and more how passive, broad based, index tracking investments are the answer to so many investment questions – the latest of which is “When is the right time to invest in cryptocurrencies? Luckily this is something I never have to stress about – because if the cryptocurrency industry ever becomes “investable”, my passive index funds will naturally start picking up the various companies which have deemed themselves profitable and stable enough to be included in the index. That, in my view, would be the right time to invest in cryptocurrencies, and it will happen automatically. So if and when that day ever comes – I am sorted! Who knows, maybe index funds start paying dividends in Bitcoin? If that happens, you will know for sure that cryptocurrencies have arrived!